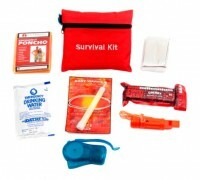 This compact survival kit is designed for children to keep on or near them at all times in their backpacks. It is packed neatly into a durable travel size bag. 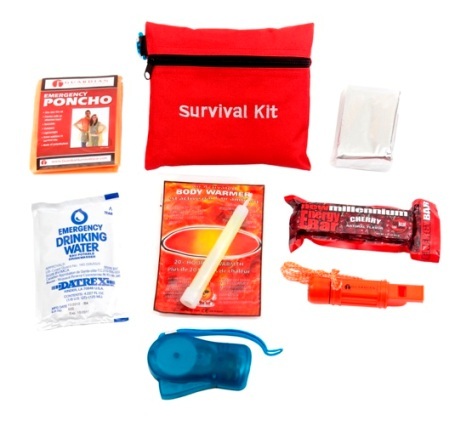 The red travel size bag has the words "Survival Kit" on the front, and comes with a blue carabineer.